Can someone find a few screencaps for me in X2 of Logan with Bobby in the रसोई, रसोईघर asking for beer??? Reward: props!!! I'm looking for a screencap from X2 of a computer screen with files from Project Wideawake that सूची several mutants not seen in the movie (such as Wanda and Pietro Maximoff). If such a टोपी exists,could someone please point me in the right direction? HELP! i need to know if the sabertooth in x-men origins and the one in the 1st x-men या the same? its driving me insane and i need to know because im creating the अगला xmen and if there the same that would tottaly ruin it! Two years following the success of 2014's "X-MEN: DAYS OF FUTURE PAST", Marvel Entertainment released a new "X-MEN" film set ten years after the पूर्व one. The movie proved to be the fourth one directed द्वारा Bryan Singer. When the news reached many प्रशंसकों that Bryan Singer would be helming the अगला film, प्रशंसकों rejoiced. As far as they were concerned, the best फिल्में from the franchise had been directed द्वारा Singer. And since he had served as one of the producers for 2011's "X-MEN: FIRST CLASS", that particular film is highly regarded द्वारा प्रशंसकों as well. प्रशंसकों of the X-MEN have been discussing the making of Bryan Singer's new entry to the franchise recently. But while कहा प्रशंसकों wait eagerly for "X-MEN: DAYS OF FUTURE PAST", 20th Century लोमड़ी, फॉक्स and Marvel Comics released a सेकंड movie featuring the mutant with adamantium claws called "THE WOLVERINE". Recently, I came across a टिप्पणी दे that the last "X-MEN" movie, 2009's "X-MEN ORIGINS: WOLVERINE", had been a failure. I found this opinion surprising, considering that it actually made a profit at the box office. 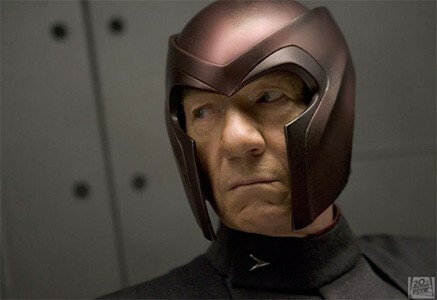 Failure या not, Marvel Studios decided to continue the movie franchise with a fifth entry called "X-MEN: FIRST CLASS". How many of these rumors do आप want to be true? How many facts do आप wish weren't? Nominate America's biggest super प्रशंसक of X-men for a chance to be on a TV show! If आप think आप may know this person, we want आप to SECRETLY nominate them for an once in a lifetime opportunity to दिखाना their X-men obsession on a TV दिखाना for a major cable network! Send in a selection of चित्रो and a brief explanation of why they should be picked to castingkwg@gmail.com. a link जोड़ा गया था: With डिज़्नी Buying Fox, Do the Upcoming X-Men फिल्में Even Matter?